We went for a stroll last weekend in between showers: starting from Maenporth beach, following the coastal path south (direction Lizard). 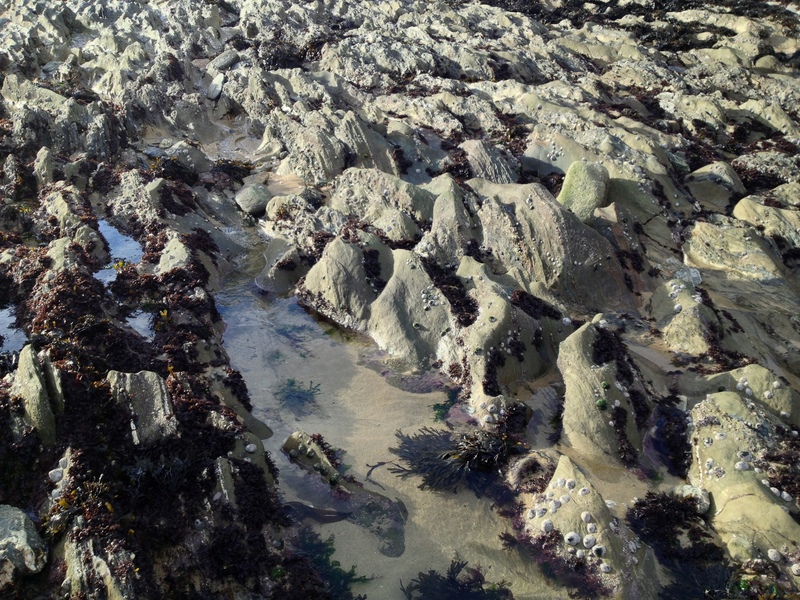 We discovered a nice, rocky beach with an abundance of rock pools. Not that much time to explore, but the pools seemed different from those on Castle Beach: filled with sand and with much more bare rock (probably because of scouring). Pestleweed Gigartina pestillata (not entirely sure but a species tolerant to sand cover so that fits) was common. 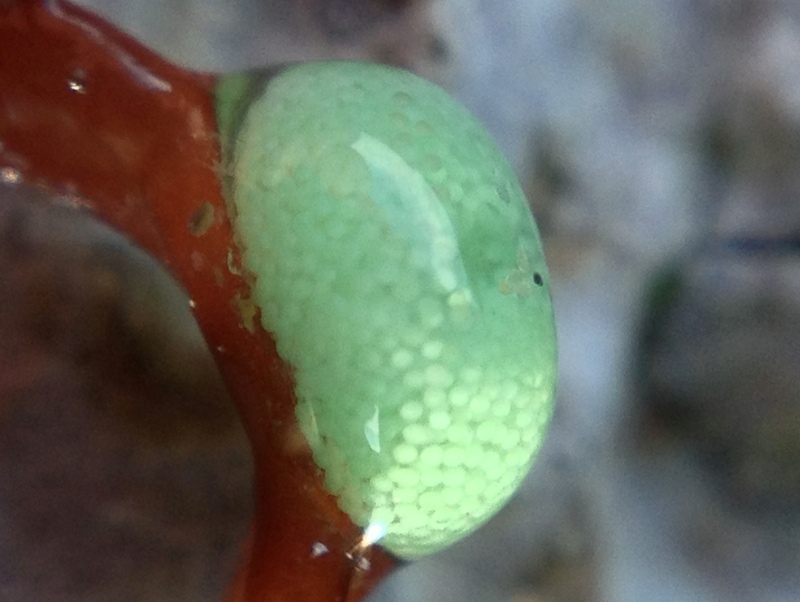 I found a small (5 mm) jade-coloured egg mass on this seaweed that I could snap using my iPhone olloclip macrolens. According to the SeaSearch Identifications facebook group, probably from the Green leaf worm Eulalia viridis. from the snail Lacuna vincta. 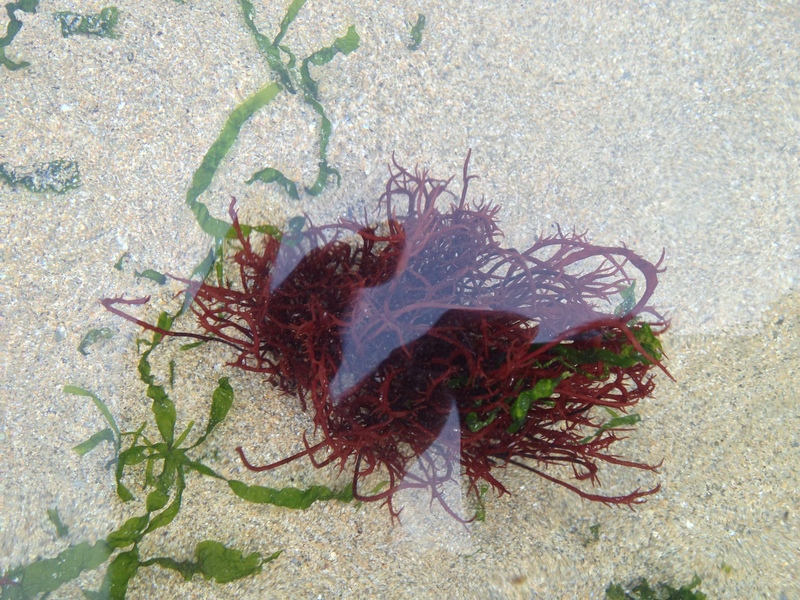 This entry was tagged Gigartina pestillata, iPhone, Lacuna vincta, Maenporth, Pestleweed, rock pooling, SeaSearch Identifications. Bookmark the permalink.